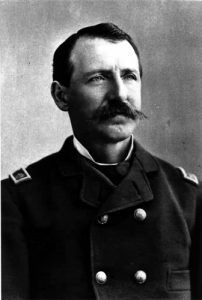 In the end of January 1896, Colonel Albert Jennings Fountain assisted in bringing indictments against several men, including Oliver Lee and William McNew, to combat the cattle rustling that raged in New Mexico territory. His work done, Fountain left Lincoln with his eight-year-old son Henry. The father and son headed southwest towards their home in Mesilla. It was a home they would never see again, for on the third day of their journey they disappeared near the White Sands. What became of them remains one of New Mexico’s greatest mysteries. The Fountains’ murder caused outrage in New Mexico. The sheriff, whose deputies were the prime suspects, was useless. To top it off, his right to the office was being challenged in the courts due to charges of election fraud. Governor William T. Thornton took quick action. He worked to resolve the sheriff’s contest and then appointed Pat Garrett Sheriff. 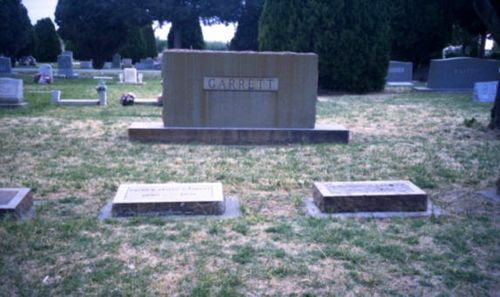 Garrett had gained fame fifteen years earlier as the man who killed Billy the Kid. He had cleaned up a bad situation before and it was hoped he could do it again. Thornton then called on the Pinkerton National Detective Agency to assign a professional investigator to assist Garrett. The Pinkertons put top operative John Fraser on the case. Fraser began undercover, but eventually brought his investigation out in the open and interviewed anyone with knowledge of the case. Fraser and Garrett did not always get along, but managed to work together for the common goal. The evidence pointed at three men, former deputies William McNew, James Gililland, and Oliver Lee. The problem was that these three men were very close with powerful ex-judge, lawyer, and politician Albert B. Fall. It was even said by some that Fall was the mastermind behind the plot to kill Fountain. Garrett believed that he would never get a fair showing with Fall in control of the courts. As a result, Garrett waited two full years for a change in the political landscape before presenting his evidence to the court and securing indictments against the suspects. McNew was quickly arrested after indictments were secured. Lee and Gililland, however, were a different story. Lee claimed that Garrett only wanted a chance to kill him, with a warrant for the murder of Fountain as an excuse. He and Gililland remained on the lam. Garrett finally tracked down the fugitives at one of Lee’s ranches. Lee and Gililland got the best of the Sheriff’s posse in the ensuing gun battle. One of GGarrett deputies was killed and Garrett and his two remaining deputies were forced to retreat. Fountain began his trip in the town of Lincoln. Located high in the Capitan Mountains, the historic Lincoln has remained much unchanged in the last 100-plus years. The town gained fame as the center of the Lincoln County War. 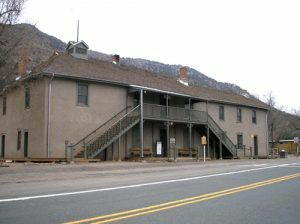 The courthouse, where Billy the Kid made his daring last escape, still stands. In fact, it was this courthouse where, fifteen years after Billy’s escape, Colonel Fountain worked as a special assistant to the prosecutor to bring charges against some of the same cattle rustlers who would later be accused of taking his life. Lee and Gililland would finally surrender months later, under the condition that they would never be in the custody of Sheriff Garrett. The trial took place in the secluded town of Hillsboro. The murders of the Fountains were all but forgotten as the defendants, along with their attorney Fall, became media darlings. Some witnesses went missing, and the defendants’ armed supporters, who packed the courtroom, intimidated others. A verdict of “not guilty” was found. Lee, Gililland, and McNew, their attorneys and many supporters celebrated into the night. The bodies of Albert Fountain and his young son Henry still lay in an unmarked grave, the location of which remains a mystery. Over one hundred years have passed since this saga unfolded. The participants are all gone, but the story and many of the places where it happened live on. Albert Fountain and his son Henry spent the first night of their trip home as a guest of Joseph Blazer. Blazer purchased a sawmill in 1868. It burned down in 1870 and was rebuilt, after which it became known as Blazer’s Mill. 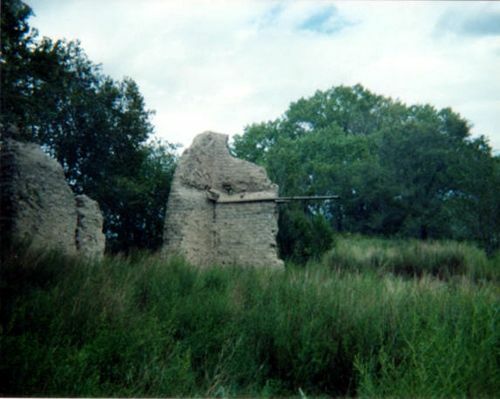 In addition to the production of lumber, Blazer’s Mill, which was located on, but was not part of, the Mescalero Apache reservation, served as a licensed trader on the reservation. This is another site with Lincoln County War connections, as the location of the classic gun battle that took the lives of Richard Brewer and Andrew “Buckshot” Roberts. Not much is left of Blazer’s Mill today. The big house, where Joseph Blazer lived, is gone. But the remains of the mill and the lone building that still stands offer a glimpse of the past. After leaving Blazer’s Mill, Fountain became aware of two horsemen following him in the distance. The men were never near enough to recognize. Albert and Henry spent their last night on Earth in La Luz, at the home of David Sutherland. The next morning they left La Luz and passed through Tularosa before starting the long stretch to Las Cruces. They now had three horsemen following them. While in Tularosa, one can see the grave of one of the men tried for the Fountains’ murder. James Gililland, alongside his wife, is buried at Fairview Cemetery. When the search parties found Fountain’s plundered buckboard, and signs of foul play, they followed the tracks of three horsemen that led away from the buckboard. Though two sets of tracks had been trampled by a herd of cattle, they appeared to lead towards two ranches owned by Oliver Lee, according to some in the searching party. These were Dog Canyon and Wildy Well. 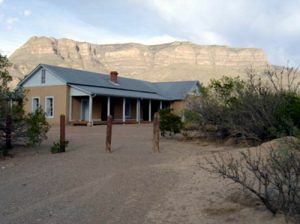 The Dog Canyon Ranch, with a restored ranch house, is now Oliver Lee Memorial State Park. Besides being the alleged destination of one of the horsemen involved in the Fountain murder, Oliver Lee’s Wildy Well ranch also served as the site of a gun battle between suspects Oliver Lee and James Gililland and Sheriff Pat Garrett and his posse. The Sheriff and his men were forced to retreat and lost one man in the fight. Fountain’s buckboard left the road just past a place called Chalk Hill, where the road cuts through and the banks are high. A pool of blood was found where the buckboard carrying the father and son left the road. Today a historical marker stands just west of Chalk Hill. The old wagon road is inaccessible as it is part of the White sands Missile Range, but can be seen south of the road. It was there that the Fountains’ homeward journey came to an abrupt end. If the dead could speak, a lot could be learned from a visit to the Masonic Cemetery in Las Cruces. Thomas Branigan and his wife rest here. Branigan, a member of the initial search party for the Fountains, was a community leader in Las Cruces for years. William Llewellyn, leader of the search party, is buried near Branigan. 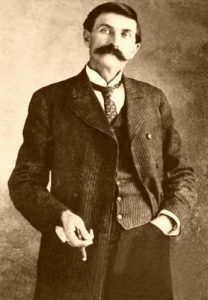 Llewellyn, one of Roosevelt’s “Rough Riders” in the Spanish-American War, was actively involved in the investigation for Fountain’s murderers. Llewellyn’s son Morgan, a guide and interpreter for the Pinkerton detective on a trip to various sites important to the case, also rests here. Pat Garrett, the famous Sheriff, is here along with his wife and children. Markers also sit over plots reserved for Colonel Fountain and Henry Fountain, in the hope that their bodies will one day be found.